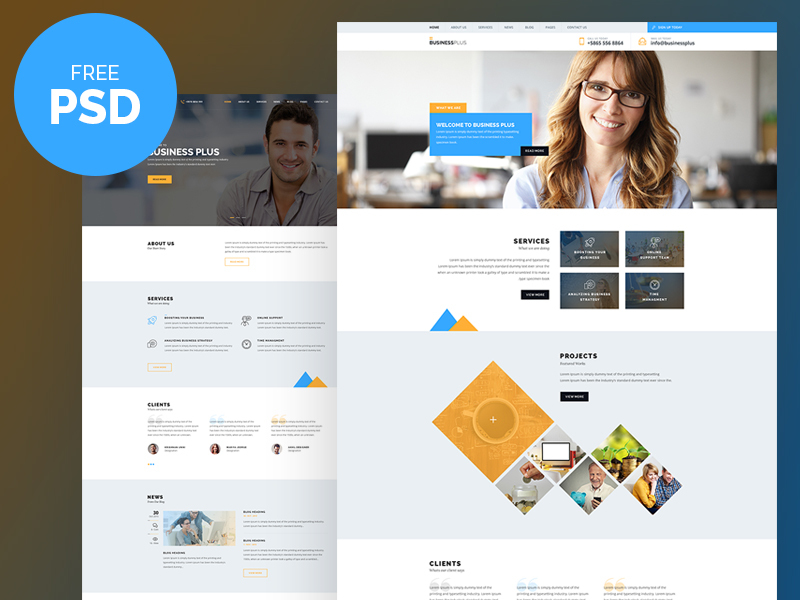 Business Plus, a customized and standard Free PSD Website Template for professionals and freelancers who are looking for a website which can be used for a Corporate, Agency, Creative, Personal, and small or large business websites. Packed with sundry features and breathtaking functionality, Business Plus Free Website Template is an ideal choice to build the corporate websites easily. This one of the best Corporate website templates contains service pages, news pages, shortcodes, SEO options, Font Awesome icons and manifold parallax effects. Named Layers, Well organized in psd folders. Note : The images you see in the screenshots are used for demo purposes only, they are not included in the download package. Thanks to Akhil VR for providing such a fantastic PSD for Free.